The Client Experience is one of today’s hot Salon buzzwords, with social media at a high, we as Salon Owners are focusing more and more on our clients wants and needs, and in turn, are becoming better Salon Owners for it. Today’s guest has done an amazing job of navigating the intersection between what your Clients want and how to deliver. 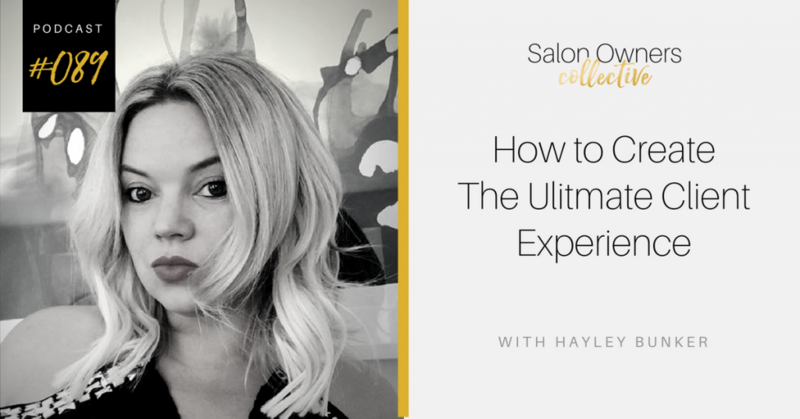 Join me as I talk with Hayley Bunker, media strategist & Owner of House Thirty-Six Salon Consultancy about the Ultimate Client Experience. With 10 years experience and knowing the ins and outs of how clients react to certain strategies, Hayley has incredible insights into how we can leverage tools like social media to understand what our clients are really asking for.